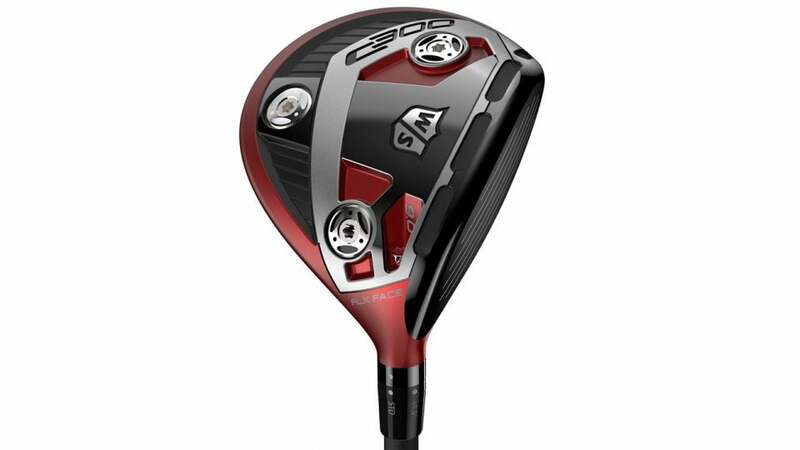 The new Wilson Stadd C300 driver. SPECS: 9°, 10.5°, 12°, lofts adjustable -1°/+2°, with Fujikura Speeder Pro 58 shaft. RECOMMENDATION: Targets mid- to high-handicap players trying to hit it higher and longer with maximum carry distance. KEY TECHNOLOGIES: Urethane-filled holes minimize contact between the face and the body of the club to expand the sweet spot; 2- and 6-gram adjustable weights in the heel, toe and rear of the sole tweak launch and shot shape. We hear about driver technology maxing-out irons all the time. But iron technology adding pop to a driver? That's what Wilson Staff did with the C300, importing four "Power Holes"—urethane-filled cuts in the crown and sole—to help the face flex at impact and extend the sweet spot in the heel and toe. The result? According to company testing, 13.8 percent greater face deflection. Plus, a trio of movable weights allow players to set the club up in draw, fade or low-spin configurations. Wilson made the C300 for "crossover" players—in other words, anyone from mid-handicappers on down looking for some maneuverability and, of course, a healthy dose of distance. "Produces gravity-defying launches that help keep the ball airborne to create maximum carry. The high-launching, high-arcing ball flight with well-above-average forgiveness is a good fit for a lot of players."